--Extra pillows if you prefer more than one! If you've come to ski, you've come to the right condo. This unit is closest to the slopes...less than 100 yards from the gondola. You can't get any closer! Once you park your car in the heated underground garage, you're only an elevator ride to the condo and steps away from the River Run Village. 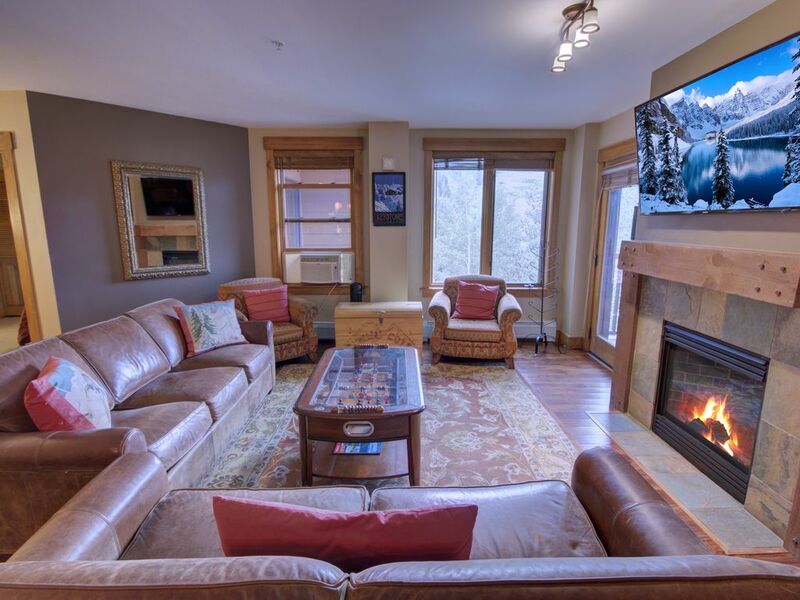 After a day of skiing, hiking, biking or just shopping, enjoy the complex's hot tubs, sauna, game room and HEATED swimming pool. Year-round, River Run is a tremendous destination for couples, families and friends. We truly enjoy sharing our River Run condo with our guests, and want you to be thoroughly pleased with your accommodations. We strive to do everything possible to make your stay comfortable and more than you ever expected. Let us know your needs and we'll do our best to help you with your lodging. Thank you for considering our condo for your Keystone vacation plans! We wanted to have a variety of recreation opportunities. Keystone is located between Arapaho Basin and Breckenridge ski resorts. The drive to Vail is quick and easy, so we have access to 5 ski resorts. In the summer, we love to spend time at Lake Dillon, riding on the bike path to Breckenridge or hiking along the Colorado Trail. In addition, the outlet shops in Silverthorne are perfect for our guests who are not as adventurous in the outdoors. toilet, tub, shower, The kids can have their own Full Bathroom! Rates Vary from $489 to $1699 per night, depending on season. Taxes and Resort Fees apply. Cleaning fee of $130 per reservation.